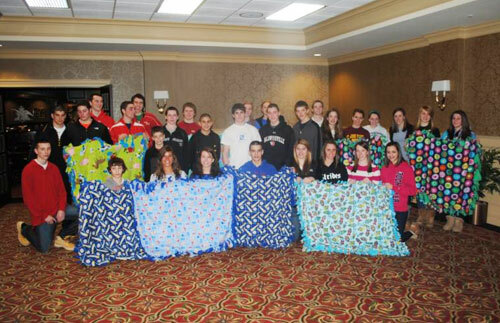 Provide over 1,500 personalized gift baskets of comfort, hope and inspiration to patients. 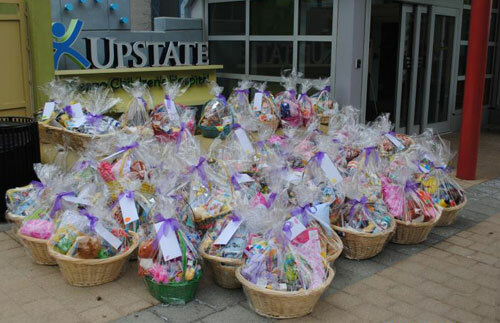 Donate 70 Spring Baskets annually since 2007 to children spending Easter at Golisano Children’s Hospital. Sponsor the “Beads of Courage Program” for pediatric oncology and cystic fibrosis patients at Golisano Children’s Hospital. Host an annual Spa Day for mothers of children battling cancer to give them a day of relaxation and connection with women who understand their journey. Provide “You and Me Bears” to offer comfort to patients spending time away from their loved ones. Award an annual $1,000 scholarship to a graduating senior at Baker High School since 2008. Get high school students involved in our mission through the Maureen’s Hope Youth Club, which has about 80 active members that help serve our community. Empower and encourage patients by offering a variety of inspirational and education programs. Guest speakers include motivational speakers, health care providers and community representatives.